Carson’s point is well taken. There is much more to happiness than money. Rather than fantasizing about being super-wealthy, we’re better served to envision – and bring to life – a plan for achieving financial security as part of a healthy, well-rounded life. With the holidays looming, it’s worth taking a moment of gratitude to appreciate our current financial blessings and understand how lucky we are in comparison to the world’s population. About 64% of the Earth’s adults — 3.2 billion people – have a net worth below $10,000. Many struggle to find enough to eat. Someone with net assets of just $4,210 places in the top half of the world’s wealthiest citizens. A person makes the top 10 percent with a net worth of $93,170. I’m guessing you might be in that 10%? Still, there is nothing wrong with striving to maximize our financial security, no matter what that looks like. Building enough wealth to ensure our futures is the right thing to do for ourselves and our families. We can learn a lot about achieving that goal from millionaires, and those who are on track to achieve seven-figures of net worth. There are about 42.2 million millionaires in the world. The United States added 878,000 new millionaires in the past year. Clearly, this is an achievable benchmark. Not all of these folks won the lottery or a lawsuit. The first step to achieving serious wealth is to understand the difference between wealth and income, according to William Danko, co-author of the classic The Millionaire Next Door and the recently-released Richer Than a Millionaire. Danko’s research confirms what your wise old granny might have told you. If you want to be a millionaire – or simply be financially secure – you need to work hard, be frugal, save, avoid debt, and be a committed investor. An elite job isn’t necessary to the process. You don’t have to be a tech entrepreneur, trial lawyer or pro athlete to achieve impressive money goals. You can hit the millionaire mark with most any steady, well-paying job. I have several people over the years who have amassed seven-figures of wealth during careers as public school teachers, or similar professions. Most folks doubt they will ever become millionaires. GOBankingRates surveyed 1,008 people and asked: “Do you think that you will become a millionaire during your lifetime?” The vast majority — 71 percent — answered no. Very true. 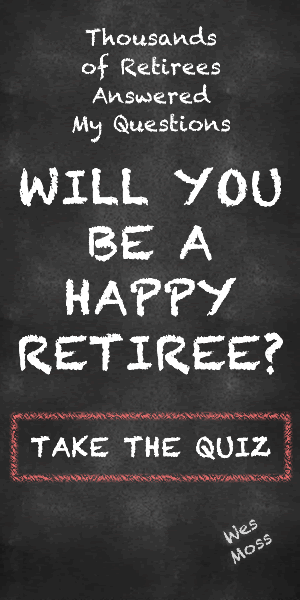 The research I did on happiness in retirement for my book You Can Retire Sooner Than You Think, shows that having enough money is but one element of a happy post-career life. It is equally important to identify and pursue the activities that will keep you fulfilled and socially engaged in retirement. If you have enough money to live the retirement dream as you’ve envisioned it, you are rich. Richer than some millionaires.